Western Power Distribution are the electricity distribution network operator for the Midlands, South West and Wales. They deliver electricity to over 7.8 million customers over a 55,500 square kilometres service area. A network which consists of 220,000 km of overhead lines and underground cables, and 185,000 substations resulting in the employment of over 6,500 staff. 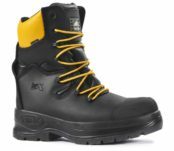 Rock Fall design and develop electrical hazard linesmens boots and shoes to impede the flow of LV MV HV electricity through the shoe and to the ground reducing the likelihood of electrocution, in accordance with ASTM F2413-11. 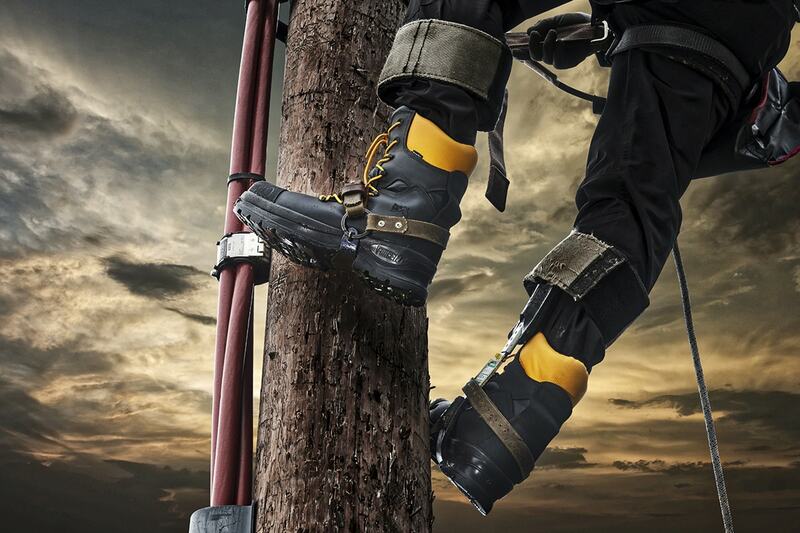 Below is a case study of how Rock Fall and Western Power Distribution have achieved an electrical safety footwear solution meeting all the necessary standards. Rock Fall supplied wearer trials to several operatives across a variety of business units. EN ISO 20345:2011 SB P CI E FO WRU WR SRC. ASTM F 2413-11 I/75 C/75 EH PR. AS/NZS 2210.3:2009 SB P CI E FO WRU HRO WR SRC. This gave them 2 highly durable products that are designed for both Linesmen and Jointers. 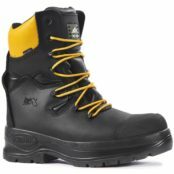 Finally, Rock Fall have added a yellow collar, meaning that wearers can be identified to be wearing the correct EH Footwear from a distance by Health and Safety and Site Managers. 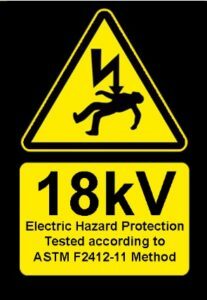 Following a diligent trial and development process the RF800 PowerMax and RF900 Power were specified on the Western Power Distribution safety footwear tender that took place during Q4 of 2017. 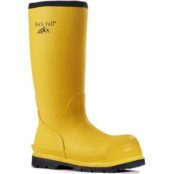 The linesmen boots are on the ground and wearer feedback is continually being monitored. Matthew Noon, Director at Rock Fall and Lucine Evans, Safety Advisor at Western Power Distribution worked together on the project. 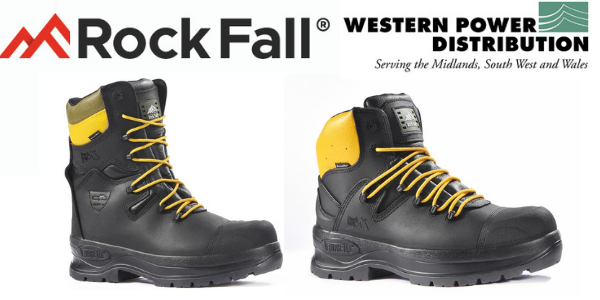 Rock Fall are eager for ongoing user feedback so their electrical hazard footwear and dielectric boots can be reviewed to ensure the continual performance and value for money is achieved.